International Care Ministries (ICM) delivers HOPE to the ultrapoor. 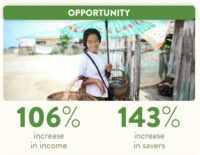 When the poorest Filipinos catch a ray of hope, they are emboldened to start new livelihood projects, plant gardens, improve hygiene and invest in their children’s education. They dream again. Transform is ICM’s core strategy for igniting hope that propels change. ICM works with local churches to invite the poorest families in the area to join a Transform community. 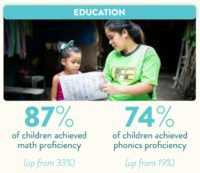 Together, the community (of about 30 participants, mostly women) goes through 15 weeks of training on HOPE – Heart (values), Opportunity (livelihood), Physical (health) and Education (early childhood development). As participants apply lessons on these four themes, they develop changes in attitudes (better interpersonal relationships), in savings (better money management), in health practices (healthier habits) and in parenting (better parent-child bonding). 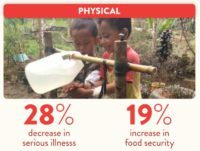 These seemingly small changes accumulate to significant shifts in behavior and outlook among the poor to help them achieve progress out of poverty. Tax Deductible: Yes – 100% of your donation gets there!